For those of us who have ordered a Chieftain kit or decided to build one from the plans, SAM-27 published their tentative schedule of flying days, as listed below. Every Thursday starting May 9, three flights of one minute. 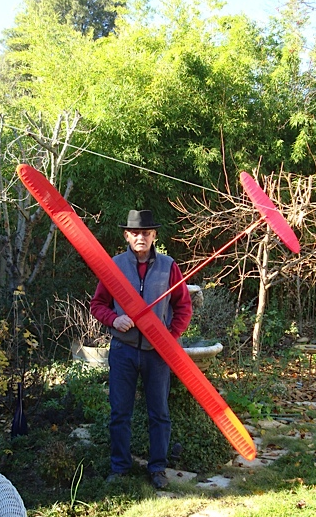 Also will fly at Jerry Rocha’s small model contest and Oakland Cloud Dusters combined event. The Dorsett family cordially invites you to services we have planned in honor of our beloved father, grandfather, and great-grandfather, Chuck, on Thursday, April 25, 2019. 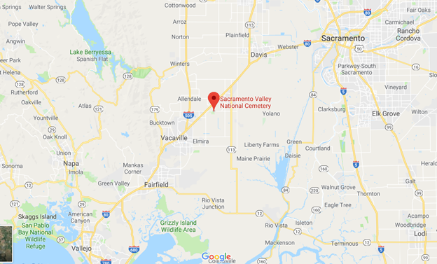 Military service with Navy honors will begin at 9:30am sharp and end at approximately 10:00am at the Sacramento Valley National Cemetery in Dixon, California. 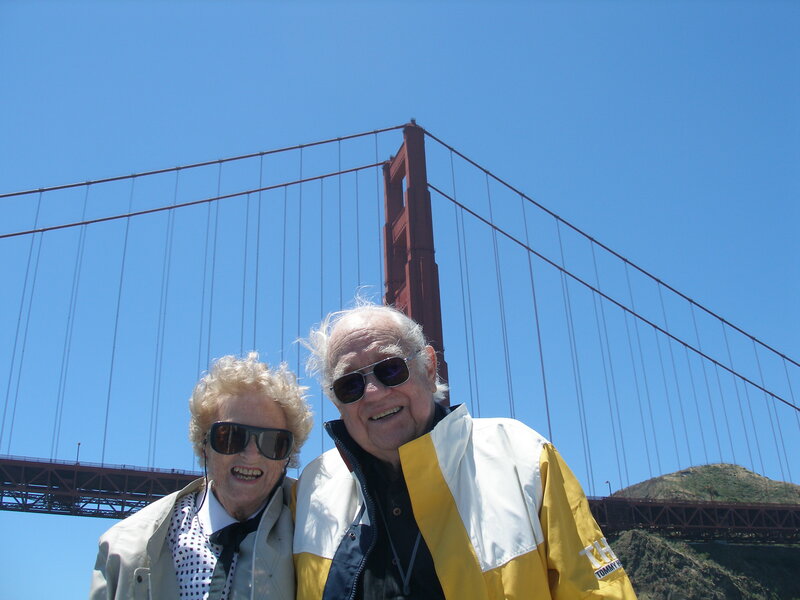 A reception will follow at the home of Chuck and Dorothy Dorsett, 2645 San Benito Dr., Walnut Creek, California, from 12:00pm to 5:00pm. If you are planning on attending the military service in Dixon, please carpool if possible due to limited parking, and arrive approximately 15 minutes early at the administration building to allow enough time for parking and proceeding to the ceremony site. We very much look forward to seeing you. We have gotten information via John Pratt that OCD member Chuck Dorsett passed away last week. The family may want to have services. This may take place in several weeks to a couple of months. Please check back the OCD web site for further information as we receive it. 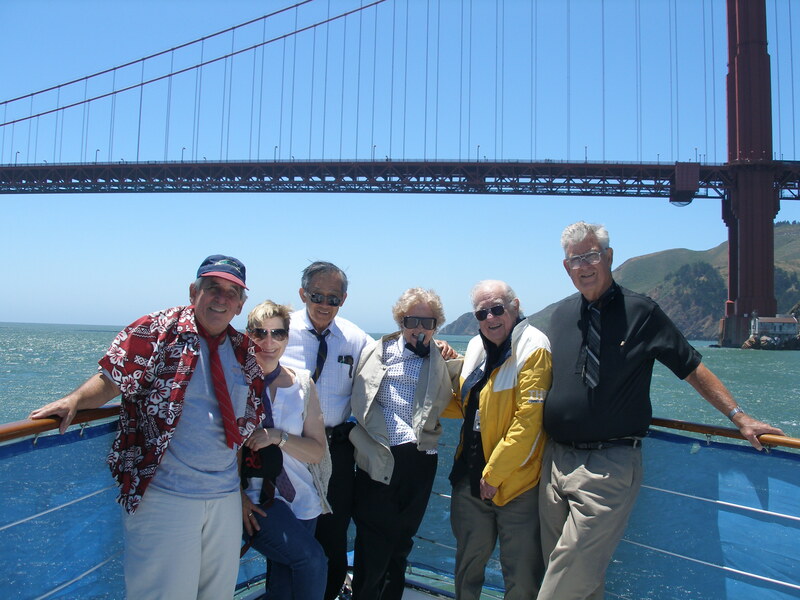 Here are some photos of Chuck along with those OCD members that were able to be on board the boat that scattered Carl's ashes outside of the Golden Gate Bridge a few years back. 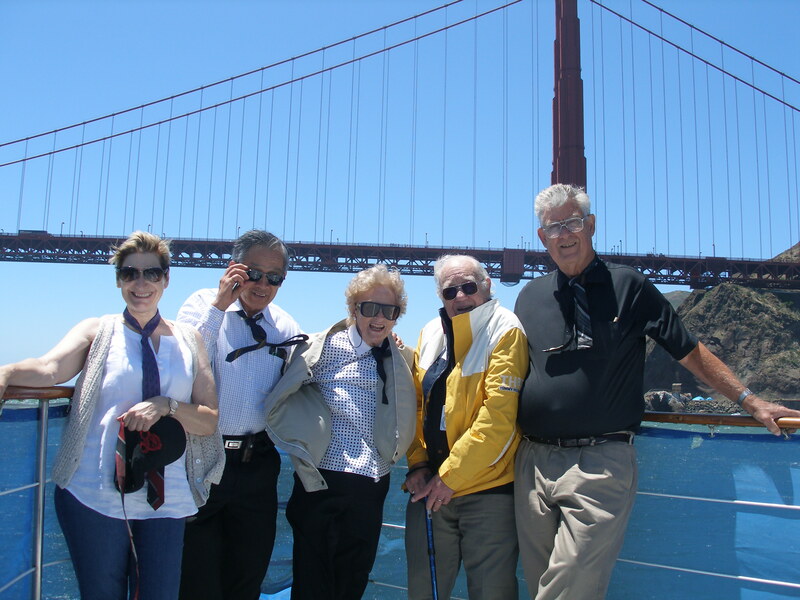 Members present were Chuck and Dorothy Dorsett, Carmen Critchlow, Ding Zarate, Roger Gregory and Fred Terzian. Also present were about five family members of what Carl called his "out-laws" (as opposed to "in-laws"!). Please see excerpts form email exchanges between frequent Waegell flyers on gate locks. Your cooperation is critical and would be very much appreciated by all who fly at Wagell. > P.S. I was the last one out of the field Sat.Feb. 23 and stopped and talked to the cattle cowboy rancher. > He said he has noticed the combo lock combination not cleared on the lock at the gate a few times..! > He wanted to make sure everyone clears the numbers before leaving....!! > contest or test flying, make sure the lock code is no longer displayed, and of course clear it when you are the last to leave as well. > work the second would . This is just a fail safe pecaution but works. > needed as long as everyone knows how to make sure the gate is actually locked. It is with great sadness that I have to report that former OCD President and Member Truman Cross passed away on Tuesday, December 18th, 2018. 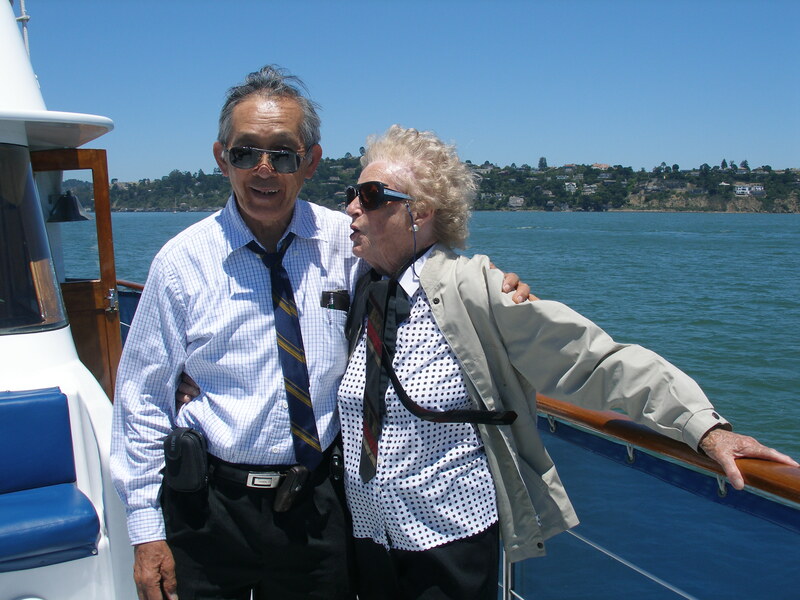 He is survived by his caring partner and wife Irina. No memorial service is planned, as was his wish. 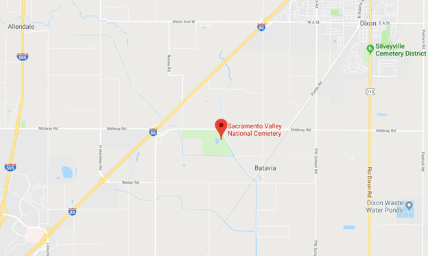 Truman was very instrumental in keeping OCD members Stuart Bennett (deceased) and David Baker (deceased) active in club activities and Fun Fly sessions at our Mowry Small Field flying site in Newark and flying competitively at Waegell Field in Rancho Cordova. Although not having been active the last few years, he will be sorely missed by those who knew him, and appreciated his dry wit. He always signed off his phone and email conversations with "Peace". Below is the Kiwi Cup flyer for the FAI events at the Isaacson Winter Classic/Kiwi Cup. 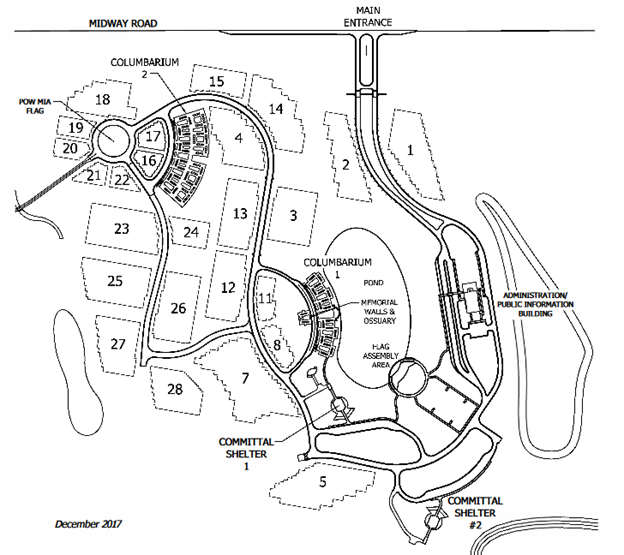 The section for the AMA classes is undergoing final review and will be out shortly. In the past as part of the AMA events we have had from time to time some special AMA events with large monetary prizes or that went over to the Monday. There are no planned special AMA events like that this year but we do expect to have a choice of AMA events similar to previous years. It is once again time to renew our membership to the LHFFMAA. Dues for 2019 will remain at $20/year, however to renew for $20 you must send your renewal form and check in by January 15, 2019. On-field renewals throughout the year and the subsequent continual need to update AMA records is another really time consuming job. Therefore in order to encourage early membership renewal, all renewals made after January 15, 2019 and all renewals made on the field will be $25. The two year discount renewal is still $35, except, as noted, if it is made after January 15, 2019 or made on the field; then it will revert to $40/2 years ($25 + $15). Juniors 19 years old and under will receive free Lost Hills membership. However, juniors must be a member of AMA. There is also a yearly family discount rate for two adults living in the same house for $35. The family discount for two years is $65 ($35 + $30). The family discount after January 15th or made on the field for two years is $80 ($50 + $30). It is more cost effective for you to renew your membership by mail and prevents a rush at registration table. Your consideration in this matter is greatly appreciated. Note: Quite a few members paid for two years last year so don’t send dues if you have already paid for 2019. Please look on the web site to verify your status. WWW.LHFFMAA go to 2019 membership. 2018 flying season came to a close and the trophies for the year found their recipients. For OCD Club Trophies, click here. For NCFFC Gold & Silver Trophies, click here. The Northern California Free Flight Council (NCFFC) awarded several perpetual trophies at a year-end dinner each year. I remember Hal Woods winning the Wicker Trophy for C Gas and Doug Galbreath and Ken Oliver dueling for F1J. 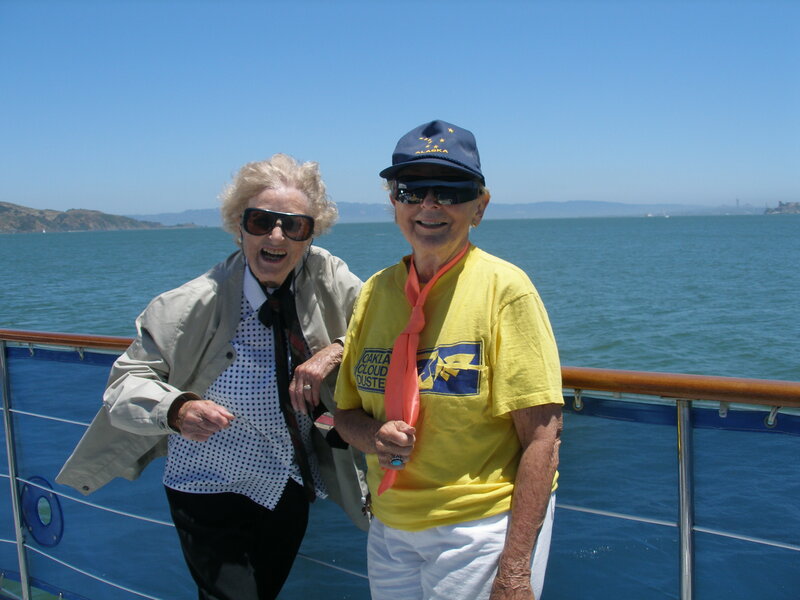 The points schedule to determine the event winners was patterned after the America's Cup with 25 points for first, 20 for second, etc., and bonus points for six or more entries in an event. The best four contest results would be totaled. Mike McKeever was the first Points Guy and relinquished the job to me in 2010. The F1J trophy and F1G trophy have both disappeared. The F1H trophy plate was put on a separate plaque and awarded to Mike McKeever who won it every year since inception. The F1J event was replaced by something we called Open Power which is a gas class for A through D engines. The trophy for Open Power came from the NCFFC collection at Vanderbeek's warehouse, The F1G event was replaced by Open Rubber which is for any rubber event other than P-30 that has a three-flight total. (This excludes F1B and F1G.) The F1H event was replaced by a new class called Electric. This class includes event times from E-36, E-20, A Electric, B Electric, and F1S. It excludes the F1Q event. In 2009 the P-30 mass launch event was held and the points, per America's Cup rules, were added to the P-30 scores. In 2013 a mass launch for HLG/Cat was held, and the points were added to the regular HLG/Cat scores in the manner of the P-30 mass launch. Shortly thereafter a Gollywock mass launch was instituted. The Gollywock point score was added to the Open Rubber point score. Recently we hold an E-36 mass launch and those scores go into the electric event. Contest results and a point summary are kept on the OCD web site, Oaklandclouddusters.org, and is open to all. The meaning of "Gold and Silver" may have changed since 2001 as have some of the events. Currently the Gold event series consists of Open Rubber, Open Power, and Electric. The Silver series, unchanged since 2002, consists of HLG/Cat, P-30, and 1/2A Gas. A change in Open Rubber for 2018 will the mass launch of Small Old Time Rubber models which includes Gollywock. For 2018 NCFFC Gold & Silver Trophies, click here. Contest results, Gold & Silver and OCD standings updated. Check out the Upcoming Events page, for a listing of meetings and contests. Please register for the event in order to receive a timely email reminder. The reminder email will also contain any last minute information which may be helpful. The cost of membership is $15 for 12 months. Individuals under the age of 19 (AMA Juniors and Seniors) are free, subject to verification.